The amateur radio station callsign GB2BCN will be amongst the many attractions at the Pelsall Rally on 15 and 16 June. Follow the link above for more information on the radio, click on the call sign link. To join in the rally, grab an entry form. 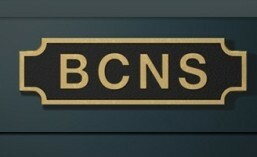 Follow the BCNS on Facebook! This entry was posted in Rallies and tagged amateur radio, BCNS, Birmingham Canal Navigations, Canal Festival, ham radio, Pelsall. Bookmark the permalink.